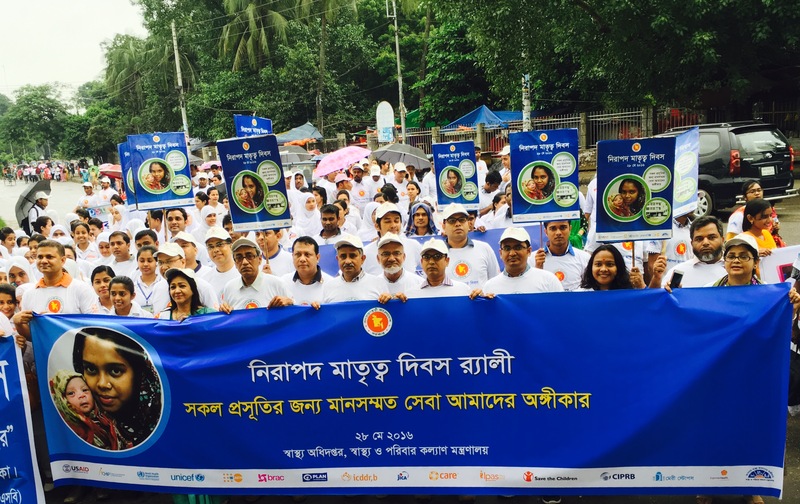 28 May 2016: CIPRB has participated in the national rally on the occasion of International Safe Motherhood Day 2016. This year theme is “Standard service to all new mothers is our pledge”. 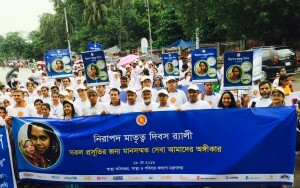 The Directorate General of Health Services (DGHS) with the support of the Directorate General of Family Planning (DGFP) has organized in partnership with donors, development partners and NGOs. 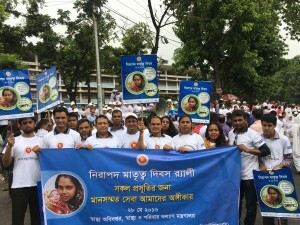 On this occasion, a rally was organized which started from in front of Shahbag Museum at 07:30 am. CIPRB is pleased to be part of this rally and members from CIPRB family joined the auspicious occasion to raise the voice for ensuring quality of care of mothers during pregnancy period. CIRPB is continuing support to the government for the improvement of maternal health in Bangladesh though generating research evidences and implementing community and facility intervention.